Value Engineering can make a considerable difference to the success of a project and a client’s bottom line. Value Engineering can make a considerable difference to the success of a project and a client’s bottom line. Value Engineering has emerged as a divisive issue in the regional construction industry, with advocates and doubters sparring over its effectiveness and viability in reducing costs, and improving efficiency and operations on projects. In order to gain a clear understanding about what Value Engineering actually entails, and how it can be best implemented, Big Project Middle East is hosting a summit that will address key issues and topics around the subject. Through a series of dialogues, the Summit will offer professionals an opportunity to discuss, debate and define the various solutions that Value Engineering can offer. VE Summit makes networking opportunities possible for all stakeholders comprising of government officials, key industry figures, influencers and solution providers. 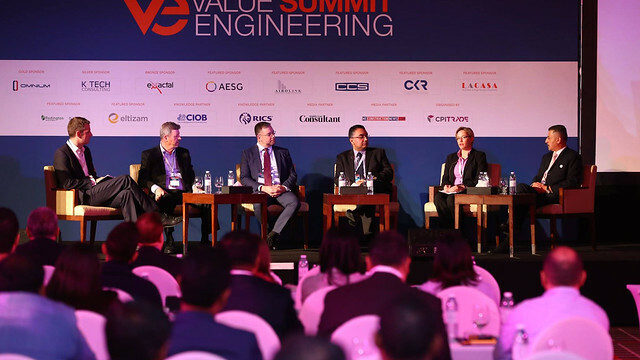 The VE Summit presents you with an opportunity to interact and discuss how Value Engineering can benefit your company with the region’s leading experts. With several breaks scheduled for networking, you’ll be able to get one-on-one time with panelists and presenters, following on from interactive Q&A sessions and a CPD workshop. This year’s Value Engineering Summit will play host to a veritable who’s who of the regional construction industry. Through the summit’s focused panel discussions, presentations and workshops, delegates will be able to hear from, and engage in thought-provoking discussions with experts working in the top consultants, contractors and software vendors. In addition, the Value Engineering Summit will also bring together senior government officials and executives from some of the region’s most well-known developers. 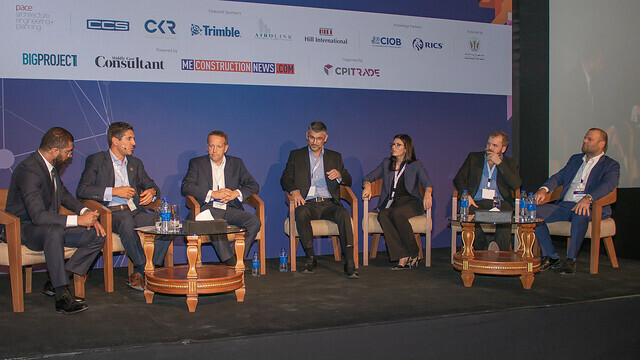 Through this diverse mix of speakers, delegates will be given a comprehensive view and insights into one of the most divisive issues in the Middle East construction industry today. Eng. Ahmed Abdalla AlHammadi – the Director of Roads Department at the Ministry Of Infrastructure Development, a member of the International Roads Federation IRF & the UAE Society of Engineers. Ahmad Al Hammadi have been always a supporter of Innovation & Development in Roads Department & in the Ministry of Infrastructure Development, and taking the responsibility for New projects development for Roads Department such as the Roads Assets Management system and the Intelligent Transportation System of the Federal Roads. In addition, he was part of the team honored with the IRF award in “Asset Preservation & Maintenance Management” for the contributions of the Roads Assets Management System to the Ministry of Infrastructure Development. Al Hammadi was the Project Manager of one of the most iconic bridges in Ras Al Khaima that have been awarded with “World Largest Metal Buried Bridge” by Guinness World Records, as he will be sharing with us today how this project helped shaping the future of bridges construction in UAE and enhance the sustainability of our infrastructure. Scott is the Managing Partner and Director at AESG, an award winning, specialist consultancy firm with established offices in Dubai, London, Abu Dhabi and Riyadh. AESG’s core consultancy services include energy, sustainability, environment, facades, fire and life safety, and commissioning. In his professional role, Scott has directed the delivery of a variety of landmark sustainable developments, including some of the region’s most prestigious master plans, high-rise buildings, housing developments and critical infrastructure. With this experience Scott is well accustomed to coordinating groups of architects and engineers to develop functional, practical and cost effective designs. Scott’s detailed knowledge of energy modeling, building codes and experience implementing sustainable design concepts is particularly valuable in developing innovative and practical solutions in combination with building rating systems. Scott holds an honors degree in Architecture from the University of Nottingham and was among the first Estidama qualified professional’s in 2011. He is also a GSAS certified professional and is accredited under the British Institute of Non Destructive Testing for Envelope Verification. Scott is a regular speaker and chair at both local and regional industry conferences on the topic of sustainable urban development. As well as his role at AESG, Scott is the chairman of the American University in Dubai (AUD) Advisory Board under the school of Architecture, Art and Design. Scott often provides guest lectures and participates as a juror to the final year students. David Clifton is the Director – Strategy & Growth for Construction Services at AECOM Middle East. Having worked in the industry for more than 19 years (USA, UK and the Middle East), David has in-depth knowledge of the region’s unique macro-economic and construction economics trends. He also has first-hand experience in the delivery of large projects and has contributed to a number of industry improvements including the development of Project Management Offices. David is a highly experienced business leader with an international outlook and a significant track record in leading the development of emerging and mature markets, new ventures and market consolidation. Bram van Olffen has been a part of Arabtec since May 2018 leading the Technical Department which includes BIM, Engineering and Tendering divisions. He has over 13 years of project management experience in the construction industry managing complex multidisciplinary projects, specialising in design as well as structural and technical engineering. He has created and led large teams of engineers for both commercial and industrial projects, ensuring the effective delivery of projects within budget, time and quality standards. Over the course of Bram’s career, he has been actively involved in all aspects of the project life-cycle, from initial concept design through to project delivery, and has played a key role in managing the expectations of project stakeholders in complex environments. Bram has a comprehensive understanding and experience in different procurement models, as well as strong technical knowledge in structure, methods and architecture. Barry is a Chartered Mechanical Engineer with extensive experience in the Building Services Industry in Contracting, Consulting and Client representative roles, in various parts of the world, including UAE, UK, Australia, New Zealand, Oman, Russian Federation, and India. He has gained experience in all aspects of design and construction during his career, and his innovative thinking often leads to more efficient cost-effective solutions in projects. He serves on both the CIBSE/ASHRAE scientific committee for reviewing technical papers submitted for conferences, and AIRAH technical committees for the same, plus writing/reviewing various publications. He was chairman of the committee, which wrote the first Australian commissioning standards for AIRAH (DA27 & 28), and co-author of AIRAH DA20 Tropical air conditioning manual. He has been the recipient of numerous awards, including an Australian National Engineering Excellence award. He received a patent for a Hotel guest room A.C. system that saves 30% energy compared to a conventional system and requires no in room maintenance. He compiled a technical design manual and sustainable design guide for all InterContinental Hotel Group brands. This was responsible for the 2007 CIBSE International Achievement award, with the judges commenting on how these guides simplified Hotel services design to reduce both capital and operating costs and presented the information in a way in which it could easily be understood by Engineers whose first language was not English. Barry presented at the RICS Smart Buildings for Smart Cities conference in Delhi in June 2016, and regularly presents on the benefits of BIM in efficient construction. Engineer Eman Al Mansoori is the Director of Engineering Contracts Department at the Ministry of Infrastructure Development, a member of the International Roads Federation (IRF) and the UAE Society of Engineers. She received her BSc. in Architectural Engineering from Ajman University of Science and Technology. She also holds her Master’s degrees in Project Management from the British University in Dubai. Moreover, Al Mansoori has worked as the Director of the Minister’s Technical Office. She played a main role in the transformation of project management area where an entire database of all projects including their costs, variation orders and contracts have been managed through the assurance of enhancing the Value of infrastructural projects from a technical perspective at the several stages of the project as well. In addition, she managed the planning and design of a number of roads projects that will help in making a dramatic change in the traffic density between the emirate of Sharjah and Dubai. Currently, Engineer Eman AlMansoori’s professional tasks focuses on the supervision of all projects tendering documents, contracts as well as the registration and classification of consultants, contractors and suppliers. Graduated from University of Balamand in Lebanon with a Structural Engineering Degree, Fady started his career in the contracting field in Saudi Arabia. Moving between different departments, from Design, Site to Office, Fady’s passion toward controlling what goes on after the design has been established when he was appointed as Cost Control Manager. Holder of a Master of Science in Project Management from University of Liverpool, Fady specialized in Construction and Infrastructure and moved into Consultancy. With his professional knowledge in Cost Control and being technology orientated, Fady spends his time with CCS consulting, training and supporting engineers around the MENA region. Fady is currently based in Dubai with CCS as an Area & Business Development Manager for the MENA Region. Associate Director of Omnium International, Fernando is a highly experienced U.K. trained Quantity Surveyor with over 18 years’ experience working in the construction industry. Specialising in complex, high-end and high-rise developments, Fernando joined Omnium in 2014 and is currently leading the Cost Management services on ITHRA Dubai’s prestigious One Za’abeel development, Deira Waterfront Enrichment Programme. Working in Dubai since 2007, Fernando has provided specialist claim and contract consultancy services on some of Dubai’s most prestigious projects including the Burj Khalifa and the Jumeirah Beach Residences. A seasoned professional with excellent problem-solving skills in construction management, development, contracting, project and design management along with core expertise in management of multi – disciplinary projects with complex civil engineering, building, mechanical and electrical aspects. Currently under his leadership in Sobha, he oversees development of strategies in conjunction with the Founder & Chairman – Mr. PNC Menon for geographic expansion and diversification of company’s real estate development business. He is responsible for the overall management and monitoring of master planning, project life cycle, design and delivery of all real estate projects. Current projects include the 8 million square feet freehold mixed-use development – Sobha Hartland in MBR City. Javad is the Risk and Strategy Director and Vice President for Parsons in the Middle East and also serves as the lead subject matter expert for PPP projects across MEA. With in excess of 20 years experience in both the UK and the Middle East regions, Javad has in depth knowledge of commercial and operational management practices particularly in the utilities sector. He also has a proven track record track record of identifying and rectifying underperforming business units. Javad holds an honors degree in Chemical Engineering from Leeds University in UK and has supported the development of numerous PPP projects in both the UK and more recently MEA region. An Electronics graduate and a seasoned technical security expert, Jonathan brings 25 years of experience through managing people, developing businesses and meeting sales targets. He has 13 years of experience within the Multicultural Middle East environment where he has worked on large, highly pressured project. Jonathan develops strategies to achieve goals, motivates people, measures results and meets targets. Jonathan has spent over 14 years in corporate environments where he gained experience in a variety of job roles within the security industry such as training end users, carrying out technical support, team leadership, design engineering and product management. Continued success led to major roles in the Middle East within large project management and business management. He started K Tech Consulting in 2013 and since then the company has gone from strength to strength. The company started out as a team of one, on a single project in Saudi Arabia, to a current team of 12 with multiple projects throughout the Middle East. Projects undertaken are from different verticals, such as aviation, military, sports events, retail and hospitality amongst others. K Tech Consulting is a Dubai Police (SIRA) certified consultancy specializing in all aspects of Security design, including Security Threat and Risk, Operational planning and requirements and systems design. More recently K Tech Consulting has also taken on IT/ AV and other ELV system design at the behest of their closest customers. Maged Louis is a mechanical engineer with 35 years of professional experience including 27 years in the UAE. He has a wide spectrum of experience in design, installation, maintenance, commissioning, and facility management. He has participated in the design and construction of numerous projects including super-high rise towers, hospitals, hotels, educational facilities, and infrastructure projects, mostly in UAE but also in Qatar, Oman, KSA, Yemen, Egypt, Libya, Kongo, Tanzania, Sudan, and Morocco. He is the founder of Implement Engineering Consultants, a UAE based MEP and sustainability design firm in since 2007 where he has designed and completed numerous high performing buildings including LEED Gold and Estidama 3Pearl certified projects. He is known for providing innovative out-of-box solutions to solve difficult problems and to improve buildings performance and life-cycle economics, including patent-pending inventions and world-first implementations. He has extensive experience in design-n-build projects where value engineering played an important role in the success of these projects. He delivers value engineering through a holistic approach of all MEP systems integrated together with a life cycle perspective in a win-win strategy where Clients enjoy value added while contractors enjoy considerable savings. Mohammed’s experience spans 25 years across Kuwait, Jordan, Egypt, KSA, UAE, Lebanon, and Qatar. As the Executive Director of Operations, he oversees a team of Design Project Managers handling a multitude of mixed-use developments, luxury residential, and hospitality projects. He possesses in-depth knowledge of construction feasibility studies, cost analysis, and litigation/arbitration management. Project Director with 22 years’ experience.10 years in the UAE, specializing in mixed use developments – hotel resorts, retail malls, airports and residential developments. I seek to make a difference in our industry in the UAE, to develop people in our business and to promote and foster innovation in how we execute delivery in construction. Change is the most important factor in our industry, now and going into the future. Those that don’t have the ability as companies and individuals to instigate and harness change will cease to exist successfully. Construction is leaning away from its stagnant cumbersome past as we try to stretch into the future using technology and becoming more efficient. That makes construction exciting, and it’s our responsibility to improve on the historic problems, we have to rejuvenate the sector making it attractive for young talent to flourish in. Construction has to become smarter, bright minds and implementation will do this. Creating the opportunity for this is what I enjoy being a part of. Conventional project and product delivery the old way worries me. We have to get better at how we deliver in construction, using technology and solving problems, being really efficient – that’s my focus. Managing Director of Omnium International, Nick Harris has over 20 years’ experience of working in the UAE. Nick joined Omnium in 2001 and is an industry leading-specialist in Quantity Surveying and Cost Management of mega-tall and super high-rise structures and complex master planned developments. He has led Omnium’s teams on some of the region’s most iconic and significant developments including the Burj Khalifa, Dubai Mall and the Jeddah Tower (formerly Kingdom Tower). Working closely with some of Omnium’s most prestigious clients, Nick oversees cost management services as Project Director on many of Dubai’s latest landmark developments including Downtown Dubai, Dubai Creek Harbour, Dubai Hills Estate, the Expo 2020 signature pavilions and DMCC’s Uptown Dubai Development. Paul Doherty is Faithful+Gould’s UAE Country Director. With over 20 years’ experience in the construction industry, 18 years with F+G, he has delivered project and cost management on major projects across the infrastructure, hospitality, healthcare and retail sectors. Now responsible for the strategic growth of the UAE business, he oversees a wide variety of projects from a project, programme and cost management function. Paul began his career in the construction industry over 30 years ago. A 1992 civil and structural engineering graduate from Leeds Metropolitan University, he spent many years working as a structural draughtsman and project engineer. An industry expert with hands-on field knowledge, he was one of the early adopters of 3D structural modelling. Paul subsequently transitioned to the software construction business in 1996 where he has remained since. With a diverse knowledge of enterprise, ERP, and BIM technology solutions, and working internationally in the UK, Far East, USA and now the Middle East across both the AEC and EPC sectors enabling commercial engineering, offshore EPC companies, fabricators, and contractors to successfully adopt BIM. As the Regional Director for the Middle East, KSA & India, responsible for business operations, management of overall strategy for the United Arab Emirates, Saudi Arabia & India Saarc Regions, and aims to build on Trimble Buildings growth and expansion of Structures, MEP, GC/CM, Architecture and Real Estate and workplace businesses within Trimble Buildings Design Build Operate portfolio. Rita is a senior construction and projects lawyer specializing in large scale international construction, infrastructure and energy projects (including Public Private Partnerships) in a wide range of sectors including energy, renewables, petrochemicals, water, transportation, healthcare and education. Rita has assisted clients with the entire tendering process, contract negotiations and project financing, along with post completion issues such as variations, refinancing and disputes. Further, Rita holds significant experience acting for gas buyers in numerous disputes under long term gas sales agreements. She is experienced in drafting, reviewing and negotiating a wide range of commercial contracts and agreements throughout the procurement and execution phases of a project, and regularly acts for contractors, funders, developers, employers, and consultants worldwide. Rita’s practice has an international outlook, with a particular focus on the Middle East. It involves contentious and non-contentious matters, and she can assist in the preparation of all legal or contractual documents both in English and in her native German. Rita has a pragmatic and commercial approach to providing legal advice and is focused on working with clients to achieve their objectives. Scott Beh joined Select Group in 2016 and is responsible for the delivery of projects within the group from conception to completion, primarily focusing on project and development management. With a Masters in Construction Project Management and undergraduate degrees in Architecture, Scott has 20 years of experience in the real estate and construction industries, across three continents in a variety of roles. Since joining Select Group, Scott has driven the development of a number of projects including the upcoming Business Bay Master Plan which consists of a number of high rise residential towers, waterfront villas, a hotel and retail mall, totalling over 6,000,000sqft of developed property. Throughout his career Scott has planned and managed numerous complex projects including large scale master plans, mixed use projects, (hotel, hospitality, retail, commercial and residential) and other various built developments. Venugopal Nanjan is a veteran in the interior fitout and engineering design industry with an experience of over 30 years across the Middle East, Europe and Asia. Venu is the CEO of the Centre of Excellence (COE) of S&T set up in India to serve the S&T operations globally. With his foresight on using technology as an enabler, Venu was the key player in launching the COE in 2013 as an engineering excellence centre—the premium cloud-based CAD outsourcing technology-driven engineering services. He heads the design centre and is an advocate of implementing futuristic solutions like BIM and new collaboration technologies to create a competitive edge in the AEC industry. Under his leadership, the company is now gearing up to establish an advanced AEC services for the industry. Venu has led various prestigious ID projects for S&T globally with his in-depth knowledge, engineering and technical expertise and exceptional client-serving capabilities. He has successfully executed large-scale projects in Oman, Dubai, Qatar, Bahrain, Turkmenistan, India, Sri Lanka, and France. Venu has been instrumental in the growth of turnkey interior fitout at S&T and has introduced many advanced relevant manufacturing methodologies to its in-house processes. Farah joined Mott Macdonald in December 2018 as the Built Environment Sector Lead. Farah has more than 18 years of experience in program and project controls management within the construction industry, with expertise in program and portfolio management, engineering and design management, construction management, earned value, and change management. She is a holder of an MBA, BSc. Degree in Civil Engineering, Certified PMP, and PRINCE 2. Moreover, Farah is the recipient of the 2017 Executive of the Year Award by Middle East Consultants Awards, an achievement made possible by her leadership skills. She also routinely appears on construction speaking panels, with a recent appearance at the Women in Construction Summit in December 2018. Naji Atallah, who joined Autodesk in 2013, leads its AEC and Manufacturing Department. He focuses on defining the vision for Autodesk in building and manufacturing industries, as well as cultivating and sustaining the firm’s relationships with strategic industry leaders and associations. He evangelizes Autodesk as a thought leader in the Middle East & Turkey markets. He is responsible for developing and implementing strategic plans and forecasts to achieve corporate objectives for products and services as well as expanding market share. He oversees and supports channel development, develops key client relationships, and monitors marketing activities in assigned territory. Prior to his current role, Atallah was Regional Manager in AVEVA. Atallah holds a Master’s Degree in Mechanical Engineering from the American University of Beirut, Lebanon. Philippe Bakhos works for Etihad Rail and has extensive experience in Civil Works design management, including metros, tramways and rail projects. Senior Quantity Surveyor, Omnium International Ltd.
Ben is a UK trained Senior Quantity Surveyor with 14 years’ experience in the field of Cost Management. Currently leading Omnium’s pre contract services on all of Omnium’s awarded projects within the extensive Dubai Hills Estate, Ben specializes in estimating, cost planning, value engineering, procurement advice and strategy development and tendering. Throughout his career Ben has provided Cost Management services on a variety of large, complex developments including the Technip Manufacturing Facility – Europe’s largest Umbilical Plant. Based in Dubai since 2015, Ben has worked on an extensive array of sectors and has worked on projects such as English College Jumeirah, the Ajdan Waterfront Project, Al Khobar, KSA and The Serenia Residences – Palm Jumeirah. Maisam is a thought leader with a successful career record in Digital transformation, Organisational Leadership, Business performance, Project Management & exceptional Senior Stakeholder engagement skills. He has more than 12 years of experience building IT strategies and Service Management cultures within organizations, and is an expert in driving IT organization, while realizing business outcomes and transforming business as per Enterprise goals. Are Design and Build Contracts the future of cost-effective construction in the Middle East? Design and Build contracts are becoming increasingly popular across the region, and while there are many benefits associated with this approach, is it the best one for our industry? How can time and money be saved, but quality also maintained? Our panel of experts discuss the pros and cons of the D&B approach and how it can be refined to deliver the best results. Can D&B projects deliver adequate quality while reducing cost and time? Are there procurement methods that can provide incentives to D&B contractors to look after quality? This presentation will focus on the definitions of value in the context of value engineering and the relationship between functionality/quality with cost. It will touch on the misconceptions that value engineering is solely reducing the cost of materials and we should look at how to maximise the value of the building – in terms of efficiency and the end user experience. We will discuss how value engineering can result in increasing capital costs to make savings later on or increasing the sell ability or sales value of a building. We will discuss what ‘value’ means to various stakeholders and how various stakeholders should be having an input into key design decisions. Private-Public Partnerships continue to gain traction on infrastructure projects in the region, with countries and governments implementing laws and project financing mechanisms that will provide support to these vital projects. As PPP infrastructure projects involve several complex stages and come with extremely high costs, having a Value Engineering approach is necessary to reduce the overall spend, while still maintaining productivity and quality. With Value Engineering now having access to sophisticated new sets of economic software tools that can, in real-time, determine in dollar terms who benefits and by how much from a given design scenario, this discussion will revolve around how the latest software and technology can be applied to the VE process. With the advent of ICT, there is not a single industry that has not been affected by this. Big Data, GIS, BIM, VR, Integrative, Energy Modelling, Quantities, LIDAR, Web 2.0, Crowd Sourcing, Block Chain, IOT, BMS & Robotics are the buzz words. We briefly look at how these technologies have disrupted the AEC industry and will affect us as we further move on, especially in the area of Value Engineering. Who should benefit from the savings in value engineering? Clients look at a contractor’s experience to deliver good savings that reduce capex, contractors feel entitled to share the saving and be rewarded for their good engineering. Both parties can negotiate how to share the cake, but both end up feeling deprived and unhappy. This case study is about a hospital project where both parties felt they got good deals. This is about the difference between cost cutting and value engineering. The construction industry’s inherent inefficiencies and adversarial approaches have been documented over decades. Current construction practices are difficult, cumbersome, and usually lead to poor outcomes. But how can we change this? Companies must adopt collaborative practices and behaviours, which provide mechanisms that encourage project teams to work together, rather than against one another, by sharing risk and knowledge, facilitating collective learning and building trust. The VE Summit offers you a chance to reach out to all relevant industry professionals as well as key government representatives. Engage with a captive audience of decision makers and influencers, who are involved in specifying products and services that you supply. As a sponsor of the VE Summit, we can create a package that is tailor-made to help you reach your objectives. Get in touch with us now.